Advocates for body-worn cameras believe that the technology is going to solve the problems related to policing. The expectations are so high for body cameras that they will potentially create a greater divide between the police and the public when the cameras fail to deliver on those expectations. The incident in Chicago is not the first where a body camera failed to record a fatal encounter between the police and a civilian, and it certainly won't be the last. The recent death of Paul O'Neal has raised serious questions about the efficacy of police body-worn cameras (BWCs). O'Neal was fatally shot by Chicago police in which the encounter was captured on camera, but not entirely: the camera failed to record the moment O'Neal was shot. This incident illustrates the problematic nature around BWCs capabilities in ensuring police accountability. Chicago police released video footage of the incident which was captured by multiple officers' cameras. The footage shows one officer shooting his firearm at O'Neal's stolen car as it sped away after hitting the patrol vehicle. For the next several moments, the same footage shows officers chasing after O'Neal until locating him on the ground with gunshot wounds to the back and being handcuffed by multiple officers. Chicago police leadership is receiving praise for releasing the footage very quickly after the incident. This can be seen as an attempt at improving transparency by the agency following the 2014 death of teenager Laquan McDonald after he was shot 16 times and video evidence was kept secret for more than a year. However, the fact that the camera failed to record the shooting of O'Neal is a significant concern. Advocates for BWCs believe that the technology is going to solve the problems related to policing. 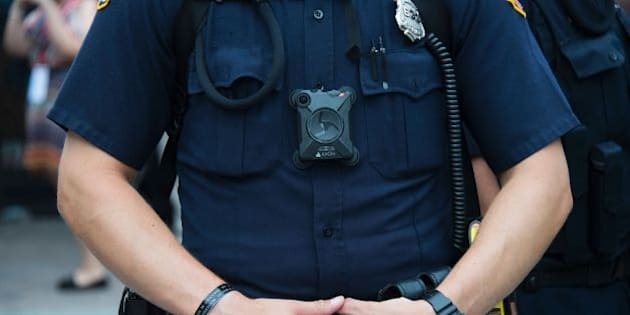 The expectations are so high for body cameras that they will potentially create a greater divide between the police and the public when the cameras fail to deliver on those expectations. The incident in Chicago is not the first where a body camera failed to record a fatal encounter between the police and a civilian, and it certainly won't be the last. There are several examples when a body camera mysteriously failed to record a police-civilian death or fell off during the pursuit. Some of these cases include the recent death of Alton Sterling in Baton Rouge, and the deaths of Lamontez Jones, and Fridoon Zalbeg Rawshannehad in San Diego. Body cameras can be an effective tool for policing. They can help mend police-community relations. They will bring about accountability of police (in certain situations). However, those who believe they are a magic-bullet and those calling for every officer to be wearing one must acknowledge the limitations of body cameras, as well as have realistic expectations of their capabilities. The premise of BWCs is that they provide an objective reality of a situation. There are several benefits associated with body camera technology; there are also many concerns. The deployment and operation of BWCs is much more complex than it may appear because there are so many factors to consider when adopting the technology. I recently published an op-ed where I raised the issues and concerns around the storage and costs associated with body camera technology. These are major concerns but are often overlooked because of the primary assumption that the technology will ensure accountability and transparency. In the case of Chicago, they are showing transparency by releasing the footage. In terms of accountability, we will have to wait until the investigation ends before any conclusions can be made. Accountability differs between individuals and body cameras will not always produce the outcome people desire. This problem becomes even more challenging with the interpretation of body camera footage. The premise of BWCs is that they provide an objective reality of a situation. However, they really don't. The fact of the matter is that people will view body camera footage the way they want to: with a subjective interpretation involving bias -- whether bias is implicit or explicit. Research has shown that different viewers reach different conclusions about the same video. We have to expect that this will happen when more body camera footage is released to the public. These videos will complicate matters more if, and when these recordings are used in court and require expert testimony as well as the officer and/or suspect/witnesses involved. The Fresno Police Department recently released body camera footage from two officers who fatally shot an unarmed 19-year-old. The footage has produced different interpretations. Some argue that the officers were justified in shooting the suspect, whereas others believe the shooting was unjustified and unnecessary. The release of the footage is a rare move by a law enforcement agency, but it illustrates the reality and problems associated with body camera footage. In Canada, these issues are relatively unknown because only a small number of agencies are using the cameras. The Calgary Police Service is the only large agency in Canada that has adopted the cameras for all officers. However, they have delayed deployment because of "technical glitches" with the cameras. Several police services in Ontario are patiently waiting for the Toronto Police Service to release their results from the 10-month pilot study they conducted. This report is highly anticipated and will have a major influence in whether agencies decide to adopt the cameras. The death of Abdirahman Abdi in Ottawa has resulted in public pressure calling for the Ontario government to mandate body cameras on all officers in the province. Even if all officer's wear cameras, there isn't any certainty that BWCs will achieve what the public wants or expects. People will argue that having cameras are better than not having cameras. But when there are different interpretations of the same video or when cameras fail to record the moment a fatal encounter occurs as seen in Chicago, the problems become larger and more complicated than they originally were. These will be the consequences of having unrealistic expectations for body camera technology. Despite widespread use of body cameras in the U.S., we know very little about their effectiveness and efficacy. It is vital that more and better research is conducted around body camera use, particularly in Canada. Until this happens, the public needs to recognize the limitations and problems associated with BWCs. It is important that police are accountable for their actions. Body cameras are a small tool that may be effective in ensuring this. However, they cannot, and will not guarantee the outcome the public always expects.